"Religiously themed films often have better intentions than their professional skills can support. Risen is the exception – a superb cast (Joseph Fiennes, Peter Firth), an unusual and compelling story, and the world of First Century Israel vividly realized on the screen. Risenis more than a good film for believers; it's a great piece of film story-telling by any standard." "Risen draws viewers into this thought-provoking drama, reminding us that after encountering the Risen Lord, life will never be the same!" "Risen answers the biggest (and most important) question of all: What is faith? It takes us on a walk along the difficult road that leads one towards belief, and from that moment, nothing will ever be the same. 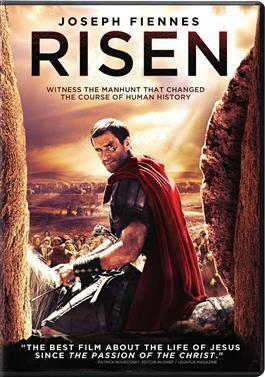 Risen is a film that every person should see." "Risen is a refreshing faith-based movie that delivers a well-written, well-acted, more sophisticated, profound and creative telling of the Jesus-Story." "Risen is a truly great Biblical epic that helps us grow in faith and love for our Lord as we learn more about ourselves and about Him! It is beautifully filmed and well acted, providing viewers with a new perspective on those historic events we thought we knew so well."